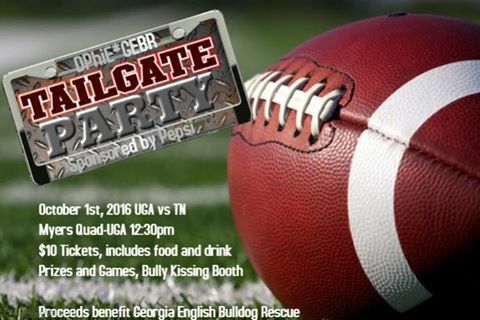 Please join us on October 1st at 12:30pm for a tailgate party in Myers Quad (next to South Campus Parking Deck) at UGA. Be sure to purchase a $10 ticket which includes food and drinks by clicking here . Or just stop by and get some bully kisses!